NASA's "Blue Marble" pictures of Earth show each month of the year 2004 to illustrate changes in snow cover and vegetation. 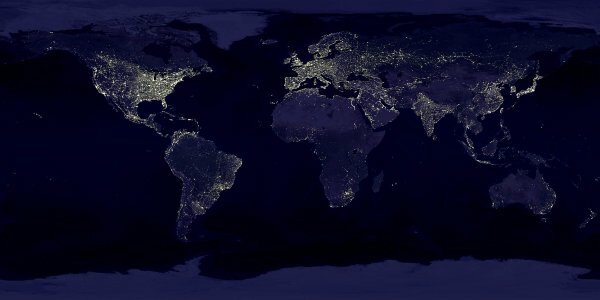 Here, you can browse their maximum resolution of four pixels per km², as well as a slightly coarser night-lights map, enhanced by town names and national borders. 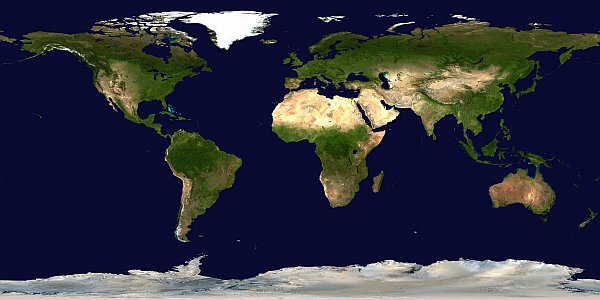 Blue Marble was initially created by NASA's Goddard Space Flight Center, the night lights by NOAA's National Geophysical Data Center. Note: After clicking, you will be viewing a large area – click in its centre to zoom in (and back out).